Sometime early Thursday morning, I woke up from a beautiful dream. I dreamt that I was in some kind of structure with walls of what looked like glass, held together by some sort of welded beam. The structure wasn’t on Earth. It was either a spaceship or on a moon near a planet that looked like Saturn. I could see the planet through the glass and it was huge. It didn’t fill up the whole glass wall (which was about as high as 2 to 4 apartment building floors) but it did fill up about 80% of the height. The planet was tilted to about 11:00 and the rings could clearly be seen. It was the rings that made me think it was Saturn but the color of the planet wasn’t right. The planet was a mottled dark blue and white, very much like pictures of Earth. I could feel someone standing there with me but I don’t know who it was. All I could do was look at the planet with awe. I can't help but wonder if at least, one of these objects, was the structure from where I was shown Titan. That very well could be lilly. I have had my own dreams, in my case lucid dreams and mind-eye visions when meditating, that have shown me things that I would never bother to post in this forum because I don't think anyone would believe me... but if you think you saw Titan in that dream, there's a good chance that that is what you may, in fact, have seen. Last edited by A99; 02-26-2017 at 01:28 PM. Here's an excerpt about that in chapt. 1 in his book 'Penetration". 8. Water/ice crystals in atmosphere: Confirmed 1975. 9. Crystal bands reflect radio probes: Confirmed 1975. 10. Magnetic and electromagnetic auroras ("rainbows"): Confirmed 1975. 11. A planetary RING inside the atmosphere: Confirmed 1979, not only as to its existence, but as being inside the crystallized atmospheric layers. 12. Liquid composition: Confirmed 1973, 1976, as hydrogen in liquid form. 13. Mountains and solid core: Still questionable, but suspected as of 1991. Six of these thirteen factors were given scientific substantiation by 1975, which is the year that the events narrated in this book begin. It needs to be pointed up that before it was actually discovered in 1979, most scientists flatly denounced the possibility of the RING, but which had been sketched in the raw data acquired in 1973. And just recently the existence of more refined rings has been confirmed. Last edited by A99; 06-05-2017 at 05:31 PM. I just found this article Spacecraft reveals 'gigantic oceans on Titan'. 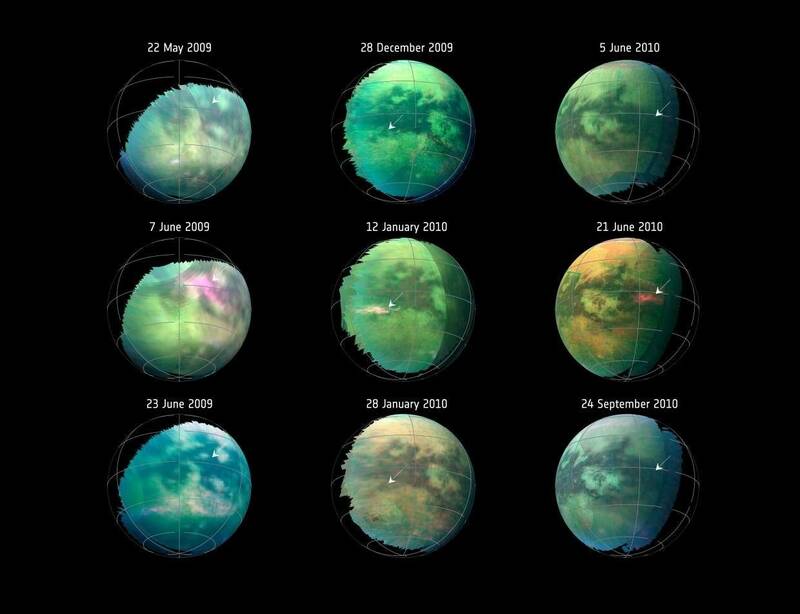 The picture of Titan looks a heck of a lot like the planet in my dream. Last edited by newyorklily; 09-26-2018 at 07:06 AM. Thanks for this incredible thread, I just saw this for the first time today. This has been a life changing experience for you and I think for many who stop by our forum I'm quite sure also have similar "off world experiences". But yours is very special in the sense of what they are and possibly from "where"! There's some great discussion and info on Titan. But of course, the "emperor" of the solar system is Saturn, Titan's master!. I now believe there is life there, possibly located on the very edge of the B ring. My guess is that life there is beyond our comprehension. They are also unbelievably old. 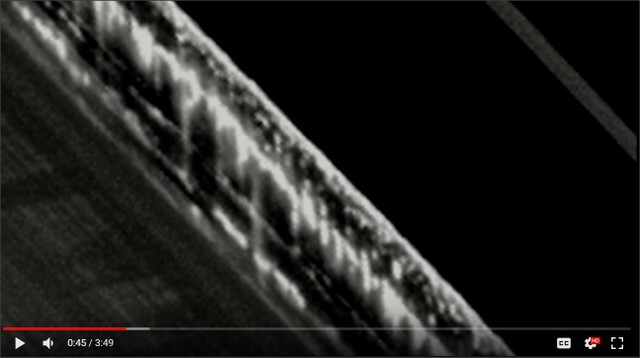 I made a great video in high magnification of the massive structures which float along the edge. Some are over 2km tall and SQUARE by design. As an architectural designer, I bow to their grace and beauty. They are truly awesome. 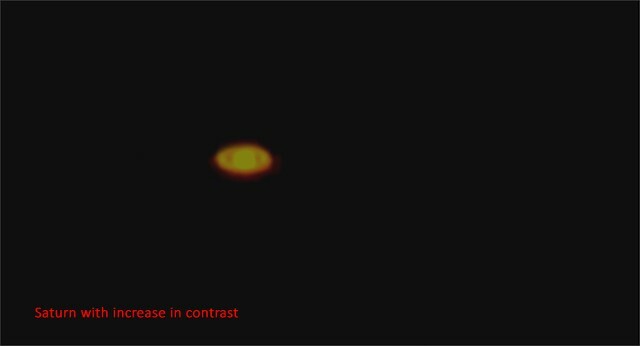 Right up to date on September 11th 2018, an amateur astronomer by the name of Paula Gilley https://www.youtube.com/channel/UCWN...tsUqzlKPEjU2tg who spends countless hours looking at the planets, caught some fascinating telescope video footage that seems to show Saturn, "very much alive'! This is a must see!! Last edited by M-Albion-3D; 09-27-2018 at 08:56 AM.